The coastal city of San Diego is well known for its beaches, parks, and the warm, sunny climate. It’s the perfect vacation spot for both families and individuals alike. The city has so much to offer, which is why visiting the area should be at the top of your list. If you decide to plan an SD vacation, make sure you allocate time for the city’s breathtaking beaches. There’s no better way to do this than by renting a yacht charter. Not only will you get the best views of the city, but you’ll also be able to enjoy the ocean. Still not convinced? Let us outline the different ways you create an unforgettable experience with our yacht rentals. Surprising your family with a yacht rental is one way to ensure everyone has a good time. Relax on the deck, take a nap in the luxurious cabin, or sit by the edge to enjoy the views. As an added plus, San Diego has sunny days year-round, meaning that no matter when you decide to make the trip, a yacht voyage will always be a good idea. We offer yachts for all types of family function and can even accommodate a large family yearly reunion. In case you aren’t looking to rent out a 49 guest yacht, the Meridian has just the right amount of space for you and your family. The interior features living room style seating and a TV with a DVD player so that you can play movies for your little ones. The galley includes a dining table and fully equipped with a half-sized refrigerator, ice maker, 2 sinks with spray faucet, coffee maker, 2 burners electric stove and microwave. 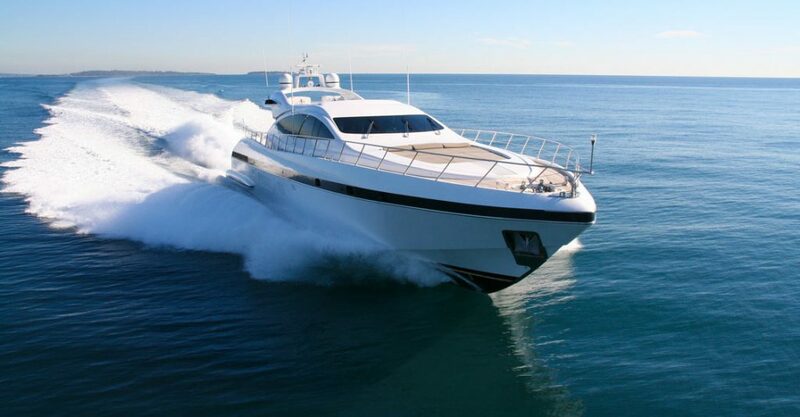 There are various ways you can enjoy our yachts. We offer jet skis, tenders, and kayaks that you can include with your rental so that you, your friends, and family can enjoy more than just the yacht. Explore the San Diego bay with our nautical tenders and stop to take in the views. Jet skis are perfect for the adventurous type, but if you aren’t feeling daring, then our kayak equipment offers more of a peaceful ride. Whatever you decide to take out, our rentals will be sure to provide your party with the time of your life. If you are planning a solo vacation away from the family, our yachts can offer you peace of mind and relaxation. 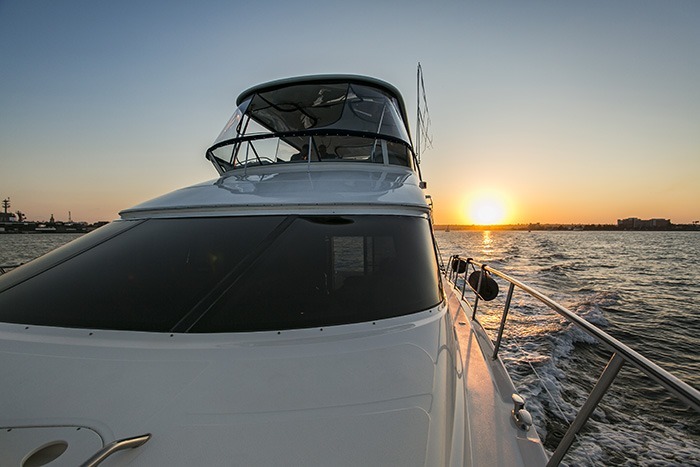 We have smaller yachts that make for the perfect getaway. The San Diego Bay provides you with the perfect fishing spot, so we always recommend to bring your equipment. If you happen to forget your fishing pole, we’ve got you covered. San Diego has all the views and beaches to make your vacation an unforgettable experience. And, what better way to explore the San Diego oceanfront than with a luxury yacht? Whether you are planning a solo, friends, or family trip San Diego Prestige has both yacht and car rentals that will make your vacation worth it. ← 6 Places to Stay in La Jolla the Whole Family Will Love!